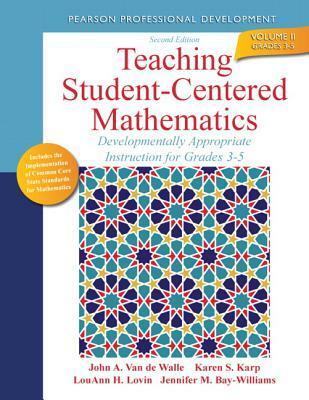 Van de Walle is a fantastic text to have at your disposal when teaching mathematics. Group worthy math tasks are provided in each chapter, in abundance. I purchased this due to teaching courses at MSU and I will always keep it close when I am teaching. My book is filled with notes of text-to-text and text-to-self connections.